Přepisy úloh poslechu z ilustračního didaktického testu 2015 poslouží k přípravě na maturitu angličtiny. Ideální pro finální kontrolu po poslechu, pokud některým částem poslechového subtestu nerozumíme. 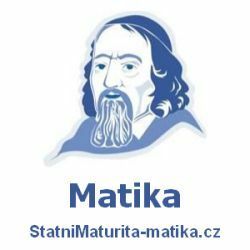 Maturitní poslech pro všechny maturanty připravil tým NovýAmos.cz k efektivnímu studiu k maturitě z angličtiny online. V pohodě a teple domova se v klidu připravujte na státní maturitu z angličtiny třeba na svém počítači nebo mobilu. A: Hey, Brad, wait, wait, I have something to tell you. B: Have you won a lottery? What’s all the fuss about? A: I’ve got a new job. B: Really, how many jobs have you already had? Last time I saw you, you were a window cleaner, so what‘re you gonna do? Work in a fast food restaurant? A: No, I found something better. I’m going to work in a new shopping center. B: Doing what? Selling hamburgers? A: Why hamburgers? No. I’m gonna sell women’s clothes in an expensive fashion shop. B: What? Jason, are you crazy? A: No, think about it. I’m gonna sell clothes to beautiful women all day. That’s much better than selling hamburgers or cleaning windows. Attention all passengers, because of ongoing construction, Churchill Street and Franks Avenue will be closed to all traffic today. All trams and buses going along these streets are cancelled until Friday. If you need to travel to either of these streets, please, use the Underground, Red Line. Also, please not that the Underground station at Globe shopping center is closed today for repairs. But a special bus will go there directly from both North Park and Howard Station. Thank you for your understanding. A: Bye, dad, Matt’s here to pick me up for a date. B: What date? And who’s Matt? A: Dad, I’ve been talking about this all week. He’s the tall guy we met yesterday in the supermarket. B: Do you mean the tall guy with long black hair who said „Hello“ to you? I didn’t like him much. I don’t like boys with a long hair. A: But that wasn’t Matt, that was his friend. Matt hasn’t had long hair in years. He plays basketball and his coach won’t let him have long hair, so he shaves it. B: So he’s bald, another extreme. And what about the short guy that you‘re always with. The one with glasses, don’t you like him? I haven’t seen him for ages. A: Do you mean Goeffrey? He’s out of town. Anyway, he’s just a friend. And please, dad, don’t call him short, he’s very sensitive about that. I can’t believe it’s already Saturday tomorrow. Our company’s got that big teambuilding tournament, and I haven’t been practising. I don’t even know why everyone chose tennis. No one likes it, I mean, we all love football. We could have chosen that. But tennis? None of us even knew how to hold a racket until last month… I’m going to look like a real fool chasing the ball all over the court. I was thinking of calling in sick and going for a quiet swim at the beach but I can’t do that. Everyone’s expecting me. OK, I’ll go and play but I won’t like it. A: Hi Mary, congratulations on winning the competition on Radio One. What an amazing prize. All expenses paid holiday in the Caribbean for seven days. B: Thank’s Ben. I’m still in shock. What are the chances that I would be the hundreth caller. Maybe even lower than winning the national lottery. A: Yeah. And where exactly can you travel to? B: Well, I’ve always wanted to go to Jamaica. But it’s a pitty because I can only go to certain islands in the Carreabean: Puerto Rico, Cuba, Barbados, or the Dominican Republic. But I’m not complaining. This will be my first time in that part of the world. In the end I decided on the Dominican Republic. I’m sure it’s just as beautiful as Jamaica. A: Yeah, it’s a dream come true. Can you take a friend or a relative with you? B: Yes. One. But they have to pay for their own plane ticket. All other expenses, including food and hotel are paid for by the radio station. A: That’s great. Who will you take, then? B: Ah, I’d like to take all my friends. To choose only one seems unfair. But anyway, I’ll take my mother. It’s her birthday in September and this will be a wonderful present for her. A: But won’t your father be jealous? B: I doubt it. Nowadays, he’s a homebody and doesn’t like travelling much. Although when I was a kid, he loved adventure. It was because of my father that we travelled as much as we did as children. A: Oh yes. I remember the stories you told me about your summer holidays as a child. I wish I could ride a camel through the desert, or go on a safari like you one day. B: Those were the good times. And now, here’s to more. A: And when are you going to leave on a trip then? B: Well, I was told that I could go anytime I want. But that is only possible for the third year from the time I officially receive the prize, which means I have to go before next December. So I’ll choose September because of mother’s birthday. Remember, the bus for London leaves tomorrow at 10 o’clock so, please, don’t be late. You should be here at school at no later than 9.30 a.m. And don’t forget to bring your passport. If you forget that, you won’t be allowed on the bus. Oh, and money; Money is important to buy food ad souveniers. The host families you are going to stay with will provide you with breakfast and dinner but you’ll need to buy your own lunches and snacks. Oh, and according to the weather forecast fo next week, we shouldn’t have any rain. It won’t be sunny either but cloudy all week long so you can definitely leave your sunglasses in Prague. But it’s a good idea to bring a pair of comfortable shoes and a light jacket. OK, so, we’re leaving tomorrow at 10 o’clock in the morning, we should go through the passport control at about 4 o’clock the next morning. With tougher checks at the border now we may have to wait a little longer to get into the United Kingdom. But we are expected to arrive in London at half past five. We’ll have breakfast together and then I’ll show you how to travel on the Underground. It’s much larger than the metro system in Prague but it’s quite easy to use. I know you’re looking forward to going on the Doubledecker buses, too. Don’t worry, we’ll use them in the afternoon. We’ve already watched a lot of videos and read a lot of articles at school so you have an idea what to see in London. As for finding your way around, you already have maps of the city and I advise you to study them before we reach London. And if you get lost, don’t panic. Remember, you can always call me or your host families. Don’t forget that anytime you call a Czech number from London, both speakers pay roaming fees for the call. So I ask yo to call me on my British phone number 077587442, please. Now, does anyone have any questions? A: Oh Jim, we overslept, wake up. It’s nearly 8 o’clock. I’ve missed the 7.30 train. B: And when’s the next train? A: There’s a fast train at 9 o’clock and a slow one at 9.15. But it doesn’t get to London before 12 o’clock and that’s too late. B: Shall I drive you to the station? Would that possibly help? A: Oh Jim, I’d be so grateful. I’ll be able to get the fast train easily. And I’ll still have a lot of time for a cup of coffee at the railway station café. Well, my job isn’t the worst, but it’s not the best either. I work from home so I have flexible working hours. The money isn’t bad either. I used to work for a large company. I worked long stressful hours and the pay was terrible. So what I’m doing now is certainly better. And I also don’t have any horrible colleagues to worry about. On the other hand, I do feel quite lonely. At home you don’t have anyone to talk to. Sometimes I really miss having colleagues. Even bad ones. That’s the worst part. A: John, have you packed the sleeping bags? B: Yes, I have. And Liz, are Peter and Mary going to join us? A: No, they’re going to Italy this year. They’re going to spend their holiday at the seaside near Venice. B: Hmm, is Alex going with them? A: No, he’s going sightseeing in Paris. And then he’s flying to New York to do some shopping. B: I can’t understand that. I wouldn’t enojy going on holidays with thousands of other people. Hm, well, I’m a couch potato and TV is my hobby. So what do I like? I like all kinds of shows, really. I love laughing so comedies are great and romantic serials are perfect because they make me feel all warm inside, you know. But mostly I watch dramas. I think that actors and actresses need to be very good to play in dramas. So the quality of these shows is much higher than a typical comedy. And believe it or not, the situations are generally more believable than anything you see on reality TV.